Mt. 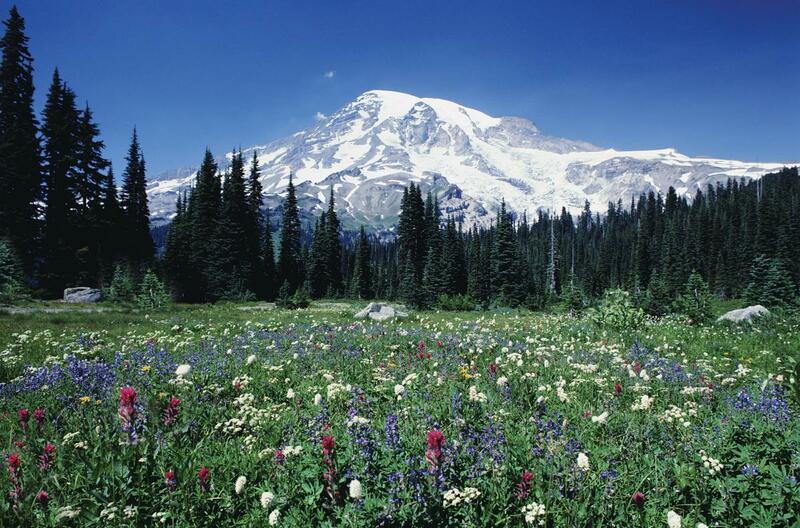 Rainier National Park and its 14,411 feet can offer the best of all outdoor activities. Included in the prestigious Historic Hotels of America register, two National Historic Landmark Inns provide rustic retreats with antique Northwest decor. Paradise Inn was built in 1917 using Alaskan Cedar charred by a fire and taken from the nearby Silver Forest. Hand-hewn furniture, tables, piano, and grandfather clock still grace the lobby of this Great Lodge. Mount Rainier has five developed areas: Longmire, Paradise, Ohanapecosh, Sunrise, and Carbon/Mowich. Although the level of development in these areas ranges from basic -little more than a campground and picnic area- to extensive -hotel, restaurant, visitor center, campgrounds and picnic areas- each can serve as a base for exploring the rest of the park.